I recently received an email from a reader asking about how to fix her P0171 OBDII error code and now I want to share what I told her with you. This specific check engine light code means there is too much oxygen in the exhaust and the engine is running lean. These problems are usually caused by a faulty MAF (Mass Air Flow) sensor. In this specific situation the downstream oxygen sensor in bank 1 was the one that caused your check engine light to come on. It is the O2 sensor’s job to make sure that the engine’s air to fuel ratio is always correct. When something is not right, it will trigger the P0171 error code. As I mentioned above, this problem is caused when the engine is running lean and there is extra oxygen in the exhaust. We can troubleshoot this error code by looking at the parts that are responsible for putting oxygen into the engine. 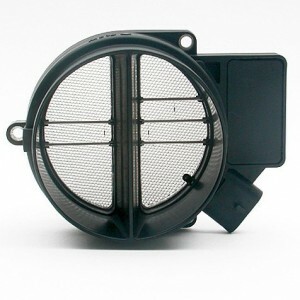 One of the main causes of a lean condition is a faulty MAF (Mass Air Flow) sensor. You can easily clean it by purchasing a bottle of MAF cleaner online. First, you’ll need to locate the MAF sensor on your vehicle. You can look in the index of your manual for hints or do a quick search online for a photo to help you locate it. Next you’ll need to remove the sensor. Look for a few small wires – if they are dirty, you’ll need to use a special cleaner to remove the debris. 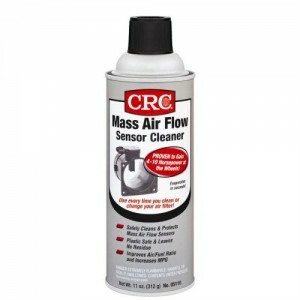 I like CRC Mass Air Flow Sensor Cleaner which you can find online at Amazon. Carefully spray the cleaner on the wires, wipe away any residue and reinstall. Your car should be back to new in no time. If you’re on a budget and need to get your car fixed without spending a fortune, MAF sensor cleaner is your best bet. It’s inexpensive, easy to use and has helped dozens of other frustrated car owners with P0171 check engine light problems.